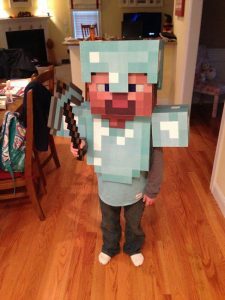 With summer vacation in the rearview mirror and Halloween around the corner, it’s a great time to start collaborating with your kid on the perfect costume. 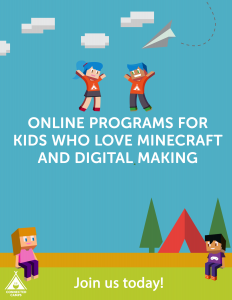 Just because your kid is a gamer doesn’t mean there aren’t tons of fun offline projects to tackle together. 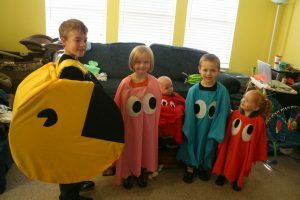 We put together this list of game-inspired costumes from Instructables, an online community where members submit their own instructions for all kinds of DIY endeavors, from cooking to crafting. 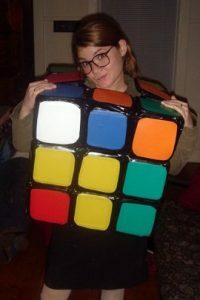 We hope you love these spook-tacularly geeky costumes as much as we do! 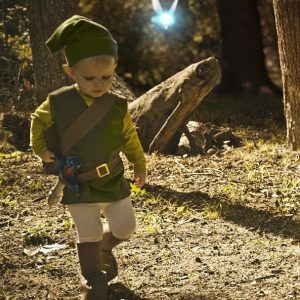 Play up your kid’s elfin side with this Link costume for even the youngest Legend of Zelda fans. 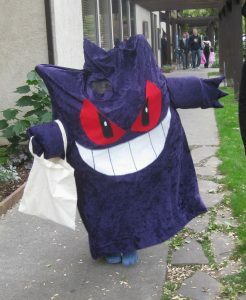 If we saw this Gengar Pokeman walking down the street, it would capture our hearts before we could capture it with our Poke Ball. We dig this life-size version of a classic. Which sequence of moves would you use to solve this prodigious puzzle? No Connected Camps list would be complete without a few Minecraft costumes. 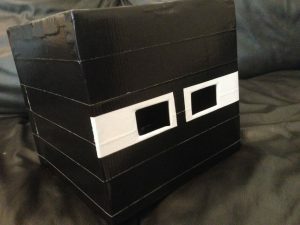 This Enderman is super simple to make with a cardboard box, duct tape, and some paint. With a few more materials and a little more elbow grease, you can fashion a super cool Steve costume that can be used over and over again. 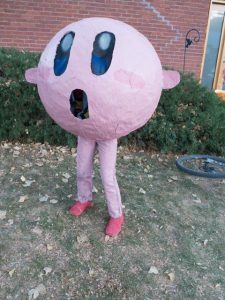 This Kirby costume is made from a yoga ball and papier-mache; so simple and the perfect art project for kids of all ages. 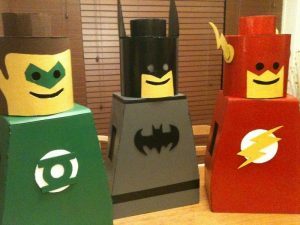 Just because they are made of cardboard and diaper boxes doesn’t mean these Lego Man superheroes are any less awe-inspiring. We adore the whole bunch! 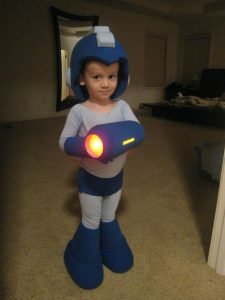 This adorable Mega Man costume is sure to win the approval of any new or retro gamer. 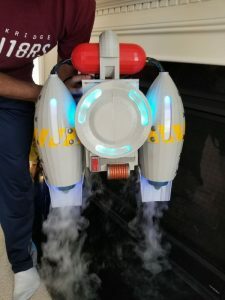 This is the most complex costume on our list, but if you can take advantage of a 3D printer at your local library to build this Fortnite-inspired jet-pack, your Halloween cred will soar to new heights. 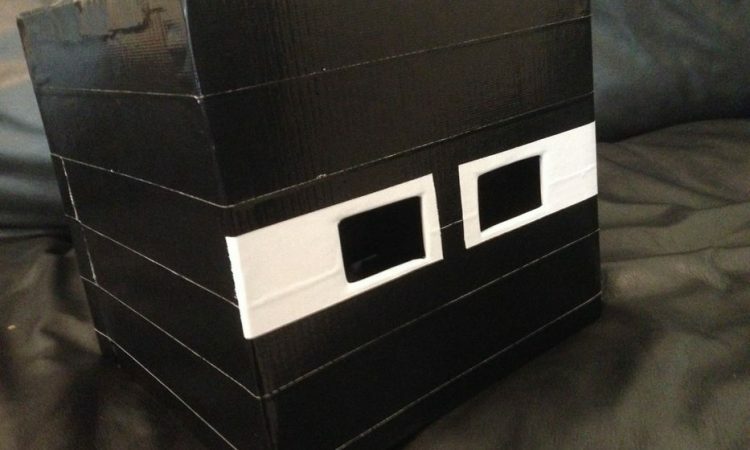 We hope all these top-notch DIY creations inspire you to get crafting with your gamer kid today! Next Post:Join Our Free Kid Club Minecraft Server!